Done rightly, a suede men’s belt is a useful and stylish accessory and allows plenty of room to express your personal taste. That said, it is important to remember one of god style’s most important lessons: leather should always match leather. That means your shoes should match your belt in colour, texture and finish. 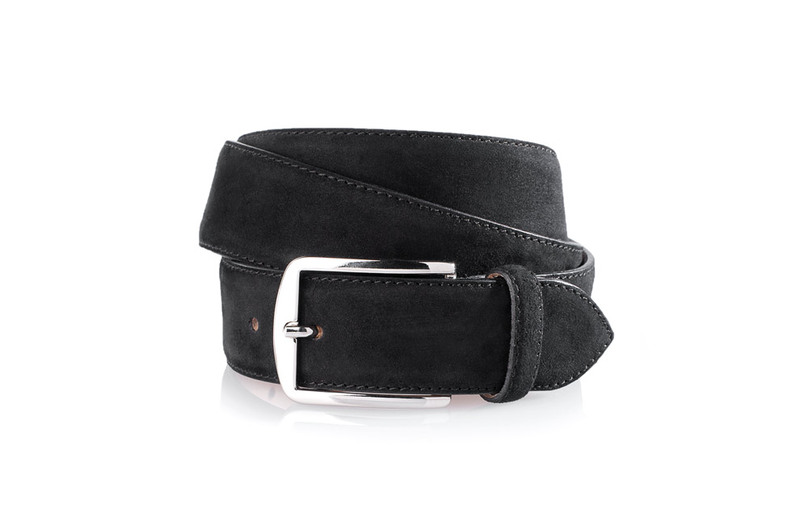 Accordingly, our black suede leather belt goes perfectly with our black suede shoes. The two leather layers are made from exactly the same leather as our men’s footwear. 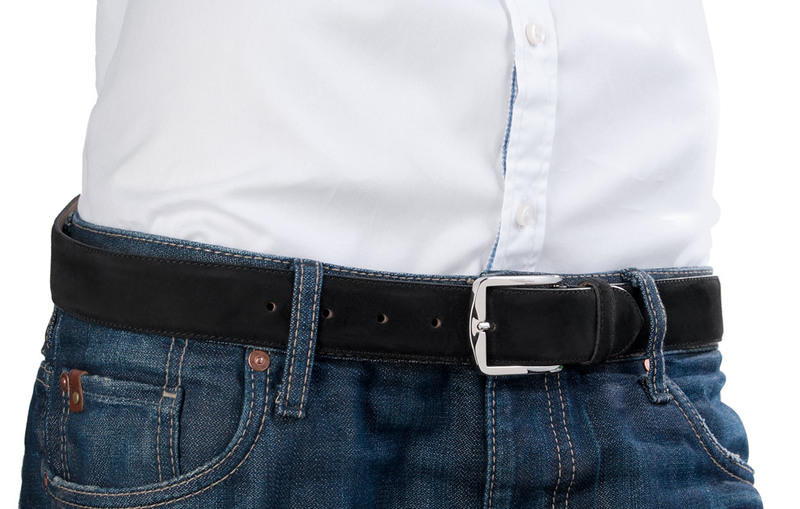 Made of two tightly stitched-together leather layers, the outside of our black suede belt is crafted from smooth velours lamb in black, while the inside boasts untreated French calf. 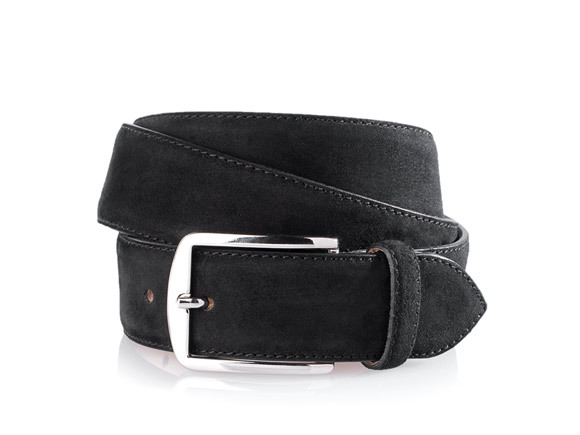 Wear this black suede belt as the ideal addition to our fine velours shoes in black. 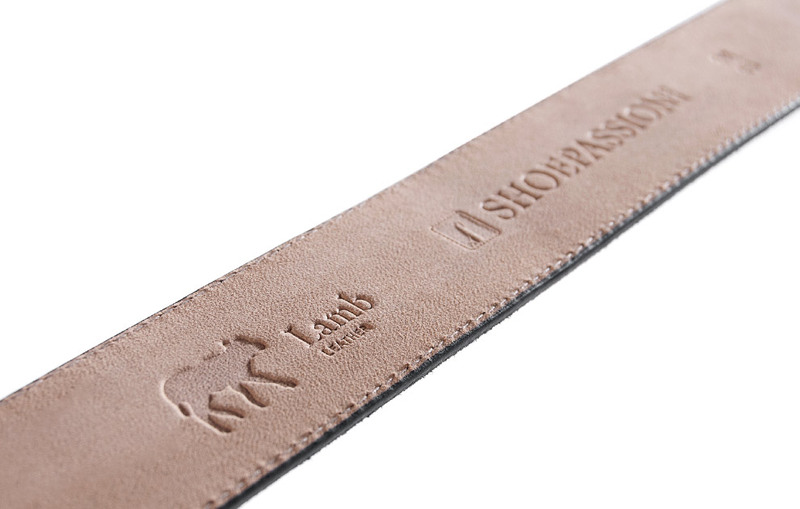 A nickel-free buckle closes our suede belt with rounded edges that radiate pure elegance. Besides this it is completely nickel-free and therefore comfortable for allergy sufferers, as well. Fastened to the belt with a fine but practical bolt, it also allows the belt to be shortened in future if necessary. 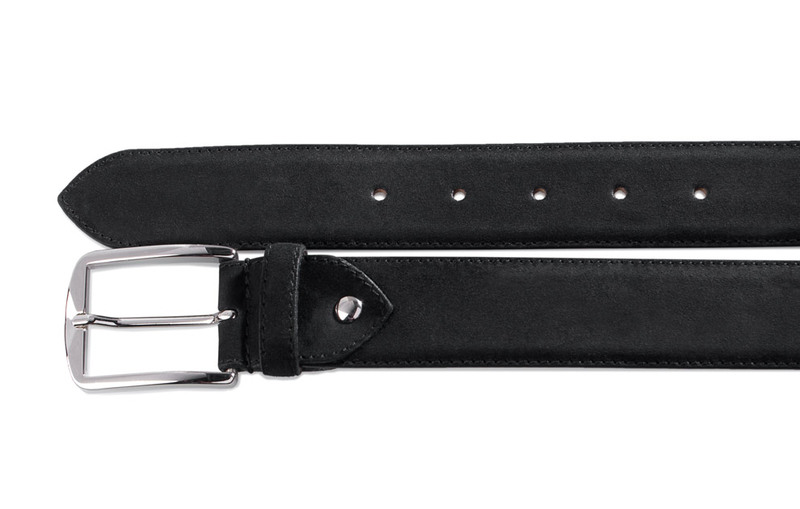 Our black suede belt is available in five lengths. Each is adapted to the right waist measurement of your trousers and measured from the buckle’s outside edge to the middle belt-hole. 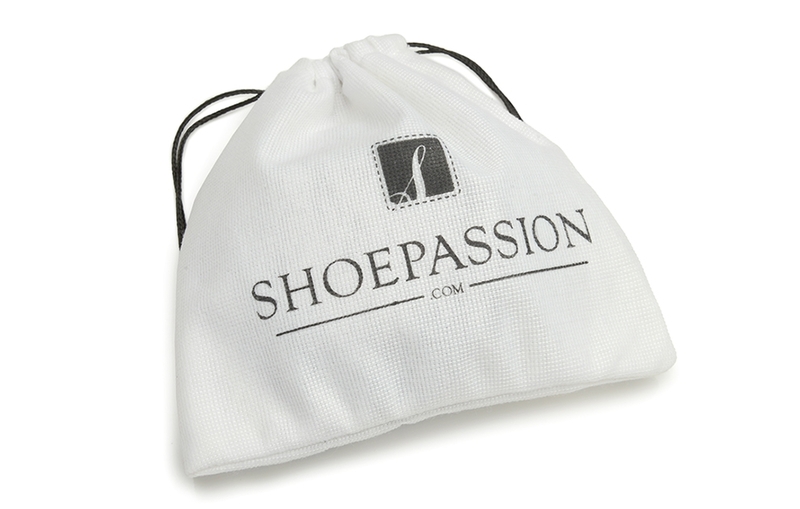 Our men’s belts are sent in an elegantly white cloth bag with the elegant SHOEPASSION.com logo, protected from soiling and scratching. The black suede men’s belt matches the SHOEPASSION.com suede men's shoes in black.